As we celebrate National Public Safety Telecommunicators my mind goes to the incredible psychological load that all our 911 professionals bear daily to deliver the 24/7/365 service upon which their field responders and we as citizens have come to rely. 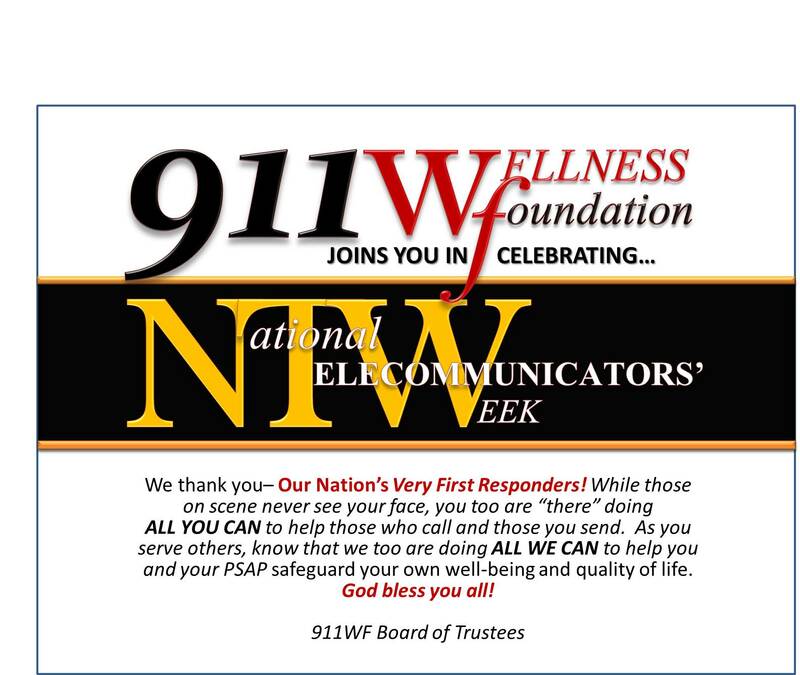 Much of the focus of the 911 Wellness Foundation this week and ongoing is on the frontline telecommunicator. And rightly so, given the unique stress of their work. Yet the accomplishments of our Very First Responder depend on the support of the entire local 911 family: you, the supervisors who often still take calls and dispatch even as you provide moment-to-moment support to call-takers and dispatchers on “the floor”; you, the managers and directors who run constantly between the center and a multitude of people and projects to keep your center running, advancing, funded, and your people well; you, administrative assistant living in the hub of the PSAP’s whir and hum, working to keep everyone else on task; you, the training coordinators who develop, conduct, seek out, and handle all the logistics of securing and documenting participation in quality training for their telecommunicators; you, the Quality Assurance officers who (in many agencies) listen to thousands of calls in a career–the good, the bad, the ugly–and often must re-live the distress experienced by all originally involved; and you too, the IT Pros who face constant maintenance and repair demands, planning and overseeing equipment upgrades and frankly a lot other stuff I don’t understand! And, just as you intend it, these entire 911 operations run silently behind the emergency scene, completely outside the view or full consideration of most citizens. The systems you create and operate enable the caller in peril to simply pick up the phone in that moment of great need, punch those three digits and, magically, gain instant access to all the area’s emergency services. The 911 Wellness Foundation recognizes that the shared stress experienced by all of you 911 professionals (“911Pros”) is enormous–and that by the very nature of your work conditions you have little opportunity to come together in one place at one time as a 911 family, to take a deep breath and reflect with pride and mutual appreciation on how you as a team achieve the remarkable success the rest of us have come to take for granted. We know too that you don’t do this work for the praise of others and that your greatest reward is from the satisfaction of knowing you help save lives. Still, those of us who work in support roles to you 911Pros can at least help create a rewarding moment by duly acknowledging your vital role in our communities: so we at the Foundation cheer you on and offer our deep respect for the enormous value and complex stress of your work, and the role that you, collectively, play in providing our nation, our communities and our own families with a security upon which we can rely in life’s worst moments. May you enjoy health and joy in your own lives within and beyond the PSAP–and an ever-deepening appreciation for each other. You deserve it! So how do you really feel about Christmas this year? Some folks just can’t get enough of the Christmas music; they marvel at the decorations adorning downtown areas and neighbhorhoods aglow. They are able to connect with child-like delight as the whole multi-sensory extravaganza once again unfolds before their eyes. Some years I can join in with these perpetual kids. I hope that everybody can. But there are also plenty who are just exhausted by the time December 25 rolls around, or anxious about what “Auld Langs Cry” will sound like this year when the family gets together again. They count down the days and hold their breath until all the hubbub has passed. Others, because of religious differences or unhealed crises of faith may travel through this season like folks on their annual trek into a neighboring country with passport in hand–not gleeful, not particularly bothered by the religious message, just feeling a return of that yearly sense that they simply don’t belong. To keep grounded amidst the stress and expectations every December brings, I remind myself that the season will not magically perfect our families, exempt us from mayhem, or protect us from tragedy. For me it is ultimately a time to sift through the good and tangled of life here South of Heaven, to breathe in a message that indeed originates from Christianity but can also be affirmed by those of different faith orientations: The Creator, who is Light, and in whose image we are all made, still loves us and is Here for us in the midst of it all. I’m not trying to impose this belief on others. It’s just what I believe. “If only the general public knew what really happens out there in one day–they have no idea!” These telecommunicators are referring to that bizarre mix that comes pouring in through their headsets during the Holidays when supposedly “all is calm, all is bright…”. 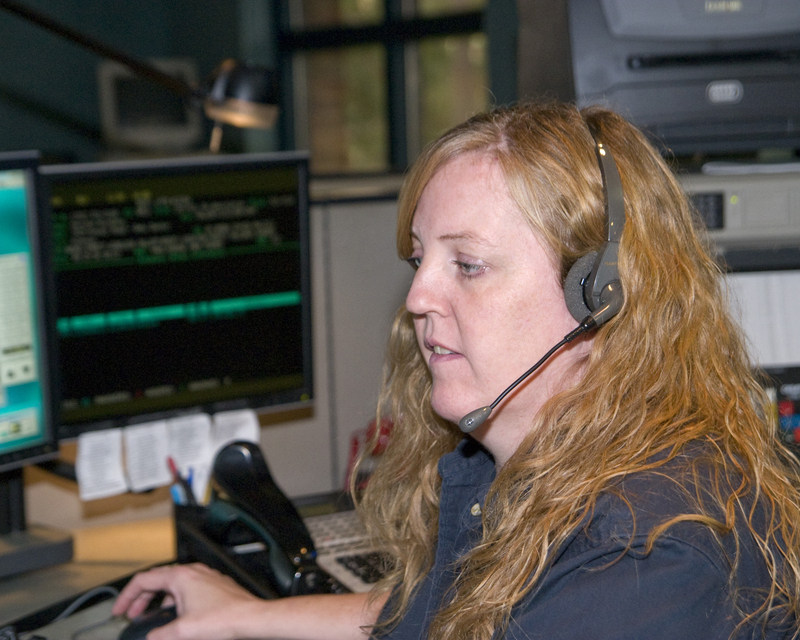 Dispatchers, like trauma therapists, are containers that get stuffed– not full of toys like Santa’s Big Bag– but with all the unfortunate, tragic, and unnecessary-ugly stuff that goes on in the lives of callers. So, maybe you’re thinking, Okay, thanks Marshall, for the nice depressing message, you Grinch. Merry Stinking Christmas to you too. Are you always such a downer? Hold on already! I’m not finished yet. Here’s the point: Crises of Faith, cynicism, and skepticism are common among emergency responders. And while we may not get all jazzed up by the loud, frenzy and glitter of commercial Christmas, we don’t have to cheat ourselves of the Comfort of the real Christmas message. The unexpected pathway to peace amidst stress and unanswered questions may be this: to accept our doubts AND allow that, maybe, just maybe the Season’s glitter and all the frenzy is a Gift of Strength and a sign of human RESILIENCE–folks refusing to give up despite hardship. Truth be told, I’ve seen some dispatchers wearing tinsel and elf hats at their consoles. I hope this Christmas you’ll have or make a little time to breathe in the true Message of Christmas–that you are Significant, you are Loved…and to find and express gratitude for the imperfect beauty around you.